We all love the feeling of Rains..Cool and pleasant weather...Clean and Shining Flower Petals & Leaves...Sipping Tea and reading a good book while sitting by the window....Who doesn't like this.....But with all this fun, we need to take some special care of our skin to keep it healthy and glowing. Today i would be sharing some very basic yet important things we should keep in mind in the season of monsoons, to maintain a healthy skin. Cleansing: In the season of Rains, it is very important to clean your skin properly and regularly.This includes cleaning of not just face but also full body.In monsoon due to high humidity,it is very easy to attract fungal infection and germs..So Clean and Exfoliate your skin regularly with a nice face and body cleanser. Do Moisturize: One might tends to think that the weather is not so dry, it is already wet and rainy, so no need for moisturizer...But this thought is completely false...You need to moisturize your skin no matter what the weather\season is.One thing here is important like your skin type, you need to make slight variations in the moisturizer you use according to the current season.The thick moisturizer you generally use in winters might not be a good option in the Monsoons and can lead to a greasy and heavy feeling. 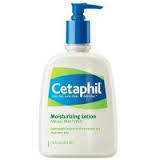 In the Monsoons, it is advisable to use light weight texture moisturizer. Few of the are : Top Light Weight Moisturisers!!! Do Not Skip Sunscreen: Even if it is dark and cloudy..Even if it is Raining...Use your Sunscreen daily.It is still day time..Sun Rays are still there...Do not skip your sunscreen girls! Yes One thing here you can do is that you can select a Low SPF sunscreen in this type of season, since obviously the sun rays are not that harsh and strong as compared to the summers. Avoid Bleaching Or Any Chemical Treatment : In Monsoons it is very easy to get fungal infection. So, if you by chance have any rashes or side effects of any chemical treatment, there is a risk that it will spread easily and will take more time to heal. Avoid Piercing: After we go for Piercing, it take few days to heal properly. It is advisable not to go for piercing in the rains since the already sensitive skin will become even more sensitive and will take more time to heal.There is also more chance of bacterial infections due to high moisture level in the environment. 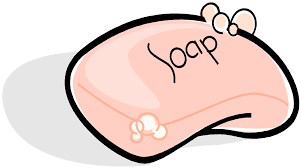 Try to Use Anti Fungal Soaps during this season to keep any kind of germs and bacteria at bay. 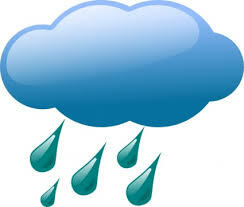 Never Keep Your Skin Wet For Too Long: In case you got drenched in the rain or even after a bath, dry your body nicely. Do not leave any part wet. You need to take proper care to dry some parts likes underarms, between toes, between fingers etc. Fungal Infection often starts from these parts.Always keep your body properly dry. Wash your Hairs Regularly: In case you got wet in rains, wash your hairs once you are back in home to avoid any germs spread in the hairs. 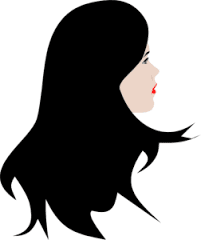 In monsoons, it is advisable not to keep your hairs dirty for too long...Do wash your hairs 2-3 times a week.Also check out: How to get Healthy Hairs!! 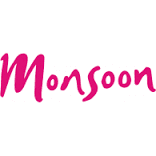 So, friends those were few of the very simple skin care tips for monsoons specially. Monsoon is a season where it very easy to attract any kind of bacterial infections, so we need to take little more care. Please follow my blog if you found this article useful! Loved you post! All the skin care tips are quite useful and easy to follow. I use some of these Skincare laboratories products that you have mentioned. They are really awesome.